HOW OUR PANELS ARE MADE. 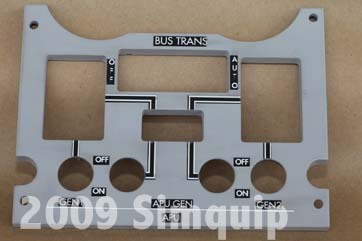 All of our panels were derived from original Boeing and Airbus Drawings and are considered to be highly accurate. 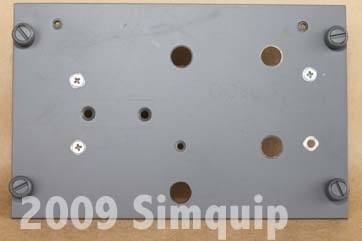 We start with a backplate that is produced on a computer controlled system to eliminate any hand manufacturing errors. The backplate is fitted with Dzus quarter turn fasteners and clinchnuts to mount any appropriate hardware. The backplate undergoes several coats of paint including an etch primer and and a topcoat giving it the correct finishing colour. Switches and other hardware are then fitted. Unlike most other manufacturers, we use original specification switches and hardware to ensure our panels meet the highest standards of fidelity. The next process is to wire the panel to the clients specification and terminate to whatever standard the customer has nominated. This could be anything from a DB25 plug to a USB fitting. Depending on the panel,wiring is a time consuming process that can add significantly to the cost of the panel. The last step of panel production is the manufacture of the lightplate. 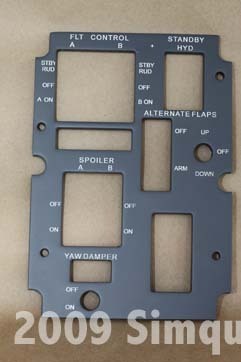 Lightplates are never made in advance or made for off the shelf use due to the fact that there are so many options and variations in labelling. Each lightplate needs to pass an exacting series of tests before it is approved for use. During manufacture the lightplate failure rate was about 25%. This means that about 1 on every 4 lightplates will fail to make the grade and be approved and passed for use. Where were panel patterns and designs derived from? Will the panels pass high fidelity scrutiny? Have the lightplates passed high fidelity scrutiny including day, dusk and night operations? Do the panels come with an ICD? Do the lightplates come with a 20,000 hour lamp lifetime? 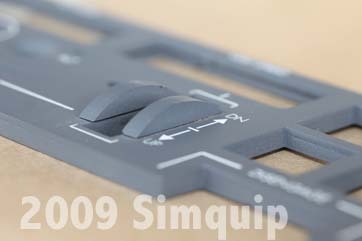 Are OEM and MIL-SPEC switches used on the panels? HOW OUR COCKPIT SHELLS ARE MADE. Every new model cockpit shell that is released must start out as a real cockpit from an aircraft. This seems like an expensive way to start out, but the only alternative is to build a wooden mockup of a flightdeck and replicate all the external dimensions found on the real aircraft. 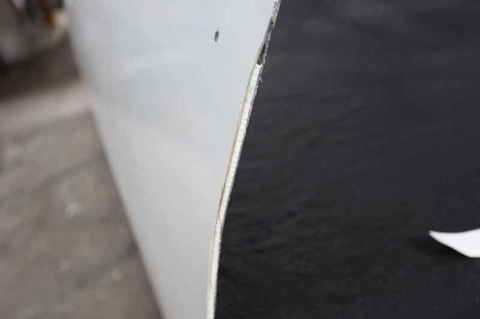 Once a cockpit shell is purchased and brought to our manufacturing facility, a panel beater sets to work smoothing out all the lumps and bumps found on your average metal nose section. This process takes 1-2 weeks of full time work for the panel beater, but the end result is a flawless, smooth finish. The shell at this stage is called a 'plug'. In preparation for fibreglassing the plug is sprayed with a 2 pack paint and left to cure for several days.Any imperfections in the paint are sanded or polished out to leave a smooth, gleaming plug. The piug is then further prepared for fibreglass by machine buffing it with a high grade mould release wax. This process is repeated several times.The plug is now sprayed with 2 coats of orange tooling gelcoat.the whole exterior of the plug is built up with several coats of fibreglass matt and resin. this buildup may be up to 19mm thick(3/4"). it is left to cure overnight. A custom metal frame is constructed around the plug so that when the plug and new mould are separated, the mould will retain its correct shape. The construction of an actual flightdeck shell begins here; The inside of the mould now represents the outside of the original cockpit. The inside of the mould is polished several times with wax unitl it is very shiny. It is then sprayed up with a gelcoat colour of the customers choosing(usually white or black). After the gelcoat has cured several layers of fibreglass and resin are machine sprayed on. To build up rigidity of the shell, but keep weight to a minimum a composite sandwich of fibreglass and a product called 'Coremat ' are used. The coremat adds thickness without weight, but does not compromise the strength of the shell. After curing overnight, the shell is removed from the mould by using air injection and plastic wedges. Once the shell is removed from the mould, it is trimmed up to remove its furry edges. Customer options are then installed and the shell is shipped. You probably wont find this subject anywhere else on the web. Why? The process of making lightplates is a closely guarded secret and those who are competent at doing it say very little about it. In this document, were only going to give a broad outline of the process and not tell too many secrets. If you are thinking of going into the lightplate manufacturing business, you better have deep pockets and a lot of time on your hands.The initial capital expense of making the first set of lightplates costs between $20,000-$100,000. Most of that expense involves the purchase of correct machinery to tackle the lightplate making process. Lightplates are made from some fairly basic and affordable materials, so why are they so expensive? Your average lightplate cost no less than $200, with some costing in excess of $1000 to purchase from OEMs. At the end of the day a lightplate is just a clear piece of painted plastic with small lightglobes stuck inside. 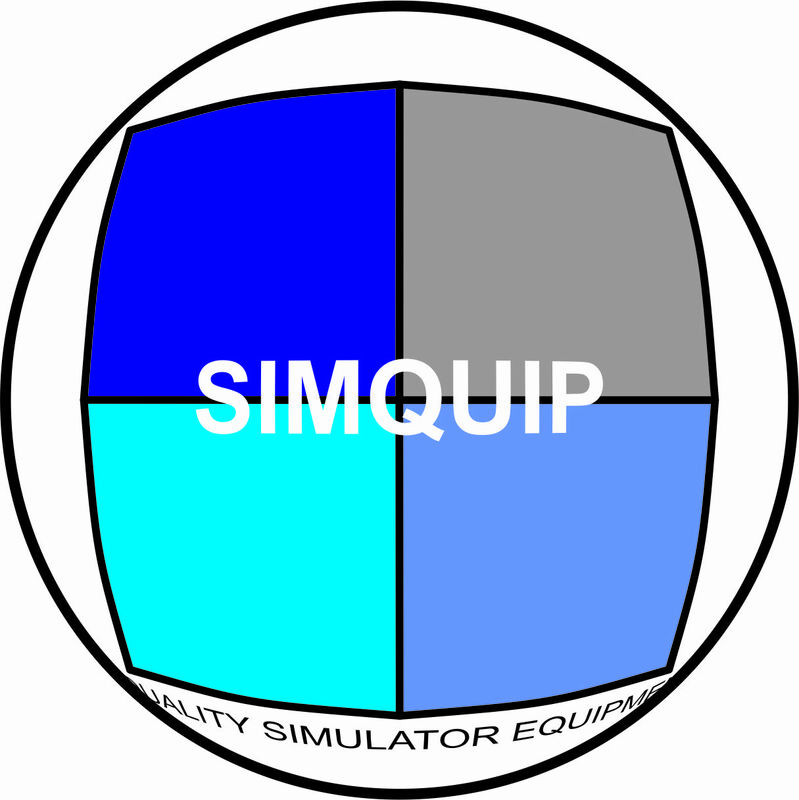 That over-simplification describing a lightplate is the same as saying a simulator is just a cockpit with some screens stuck out the front. Everyone knows that its much more complicated than that. Our lightplate making process begins here; Specially prepared clear acrylic sheet is loaded into a laser-machine for cutting. Lasers capable of making lightplates typically cost between $4,000-$30,000). Our 'specially prepared' acrylic sheet has a white film bionded to it in a company secret process that we perfected over 12 years ago. Drawings of the lightplate are sent to the laser. Usually up to 4 lightplates are cut out in a single session to make the best use of the raw materials. With the basic lightplate shape cut out it is then sent to a CNC router operator who then machines the back of the lightplate. Up to 3 different cutters are used to machine the lightplate back. Each machined lightplate is then bead blasted with a fine garnet to ensure correct paint adhesion. The Lightplate blank is then painted with a special blend of white paint. This special blend of paint was developed by us over 12 years ago is is mixed and blended in a carefully controlled process on site. The spraying process is carefully monitored and controlled at all times. Lightplates are never sprayed in temperatures below 15 degrees celcius. 3 more colours are applied to the lightplate blank including a light-block and topcoat colour. Once the topcoat has cured, the lightplate blank is sent back to the CNC Router to have more machining including the holes for the light globes. 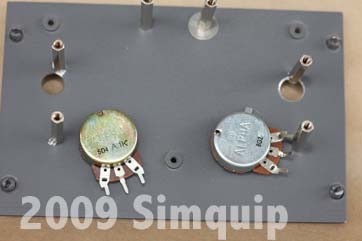 One of the last stages of lightplate manufacture is text and graphics engraving. This is performed by a finely tuned laser that engraves lettering and graphics into the lightplate face. The laser must be set up so that it burns away only the colour and lightblock layers. It must penetrate the white base layer fractionally, so that the white lettering is exposed enough that the internal lighting will shine through, just enough to illuminate all of the lettering. A custom made circuit board with an array of tiny globes is screwed down to the back of the lightplate and it then undergoes a series of rigorous tests. If a lightplate fails any of the tests, it must be decided if the lightplate should be destroyed or sent back for corrective re-work. Lightplate tests are; Overvoltage test A lightplate is designed to run at 5vdc for up to 20,000 hours. We test our lightplates at 12vdc to expose dry joints and lightbleed. Lightbleed each lightplate is checked in a lightbox to see if there are any areas of the face or edges that allow light to bleed through. Lightbleed is usually the incorrect application of the topcoat or lightblock coat. If the lightbleed is on the face of the lightplate it is usually destroyed, but if the lightpbleed is on the edges it is usually re-submitted for corrective re-work. Daylight test When an aircraft banks during bright daylight, areas of high and low contrast fill the flightdeck caused by shadows from the aircraft structure. A correctly designed lightplate should be perfectly readable and illuminated even in broad daylight. We use a specially modified light meter to test our lightplates for daylight readability. If a lightplate cant pass this test then it must be redesigned to do so Hotspots During the design process of the lightplate acute attention must be given to the placement of the lightglobes within the lightplate body. Too many globes in the design will make a bright lightplate and it will look out of place amongst the others. the same applies for too few globes. If globes are places too close to lettering and graphics, they create hotspots and make the lightplate look un-balanced. A lightplate needs to blend into its surroundings.